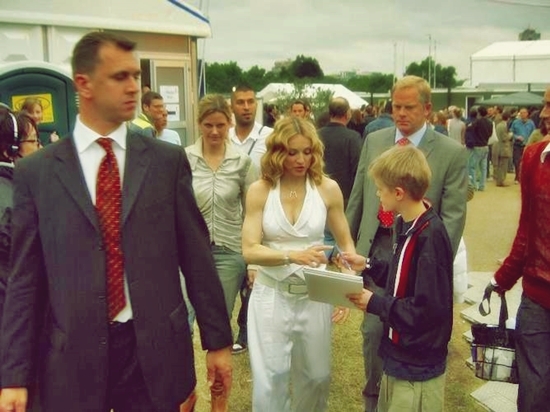 On July 2 2005, Madonna performed Like A Prayer, Ray Of Light and Music in front of an audience of over 200,000 during the Live 8 benefit concert at London’s Hyde Park. Part of a series of concerts, many of which were held simultaneously at various locations around the world, Live 8 was broadcast live on television and radio to an estimated global audience of two billion. 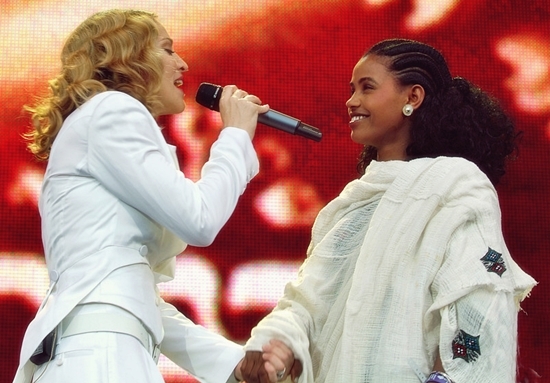 Madonna’s memorable performance at Live 8 was largely praised by mainstream media and fans alike. That was a brilliant, tearful and joyous performance! Madonna’s mission on Earth is to give love and bring joy to millions from all walks of life! Like a Prayer, Ray of Light and Music are three of Madonna’s happiest, joyful and most iconic songs! A Happy moment for all concerned! Love Madonna!